The surprise is Kung Fu Panda 2 DVD in Blu-Ray and Dolby True HD. King Fu Panda on BluRay is the surprise. I like Po. My Fav is Po…so cute. Mr. Hong has Kung Fu Panda 2 Blu-Ray/DVD/Digital Copy combo pack. 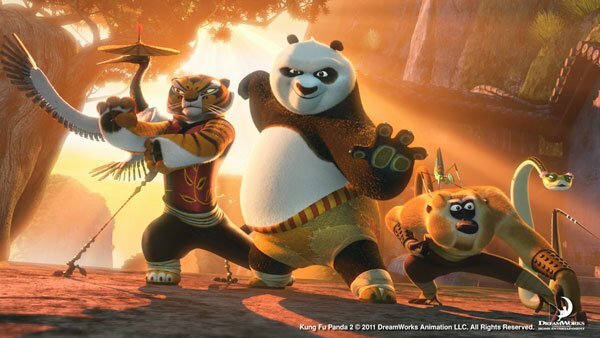 Kung Fu Panda is being released on Blu Ray is his suprise! Shifu. Thanks again for running a great contest like this. My family likes Po the best. Kung Fu Panda 2 blu ray! I loved this movie as much as the first! Tigress is my favorite. My daughter loves her intensity! I love Mr. Ping. But of course, I like them all. Kung Fu Panda 2 on Blu-Ray with Dolby True HD. That is one sweet home theater system. The DVD of Kung Fu Panda 2! Kung Fu Panda 2 DVD in Dolby true HD. A Kung Fu Panda 2 DVD with Dolby. Mr Ping is my fav! His surprise: Kung Fu Panda 2 on Blu-ray featuring Dolby. The Surprise that Mr. Hong has for the kids is the Kung Fu Panda 2 BluRay DVD. My favorite character is Po….love the little guy! This movie rocks! The surprise is that the movie is being released in Blue Ray now. The surprise he has for the kids is a Kung Fu Panda 2 Blu Ray DVD. My favorite character is Mantis voiced by Seth Rogan. My favorite character is monkey!!! my favorite character is Poe, he is an accidental hero, and I love it! Kung Fu Panda 2 blu ray! A Kung Fu Panda Blue ray DVD.